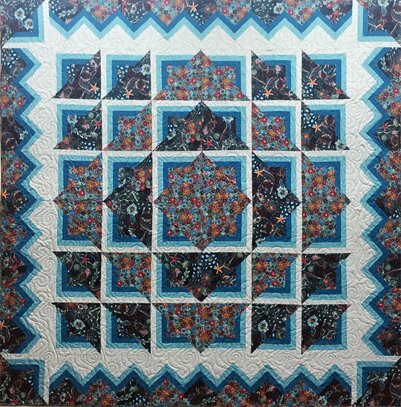 Let Vickie or one of our staff help you pick out the fabrics for this stunning quilt. In just two classes, learn how to use two focus fabrics to create blocks and borders all made from a simple 15" block. We will also talk about best practices for bias cut fabrics and deciphering pattern directions.